Still, I am fairly pleased with this series of shots. The Lady, it seems, liked very much to hang around the daisies. 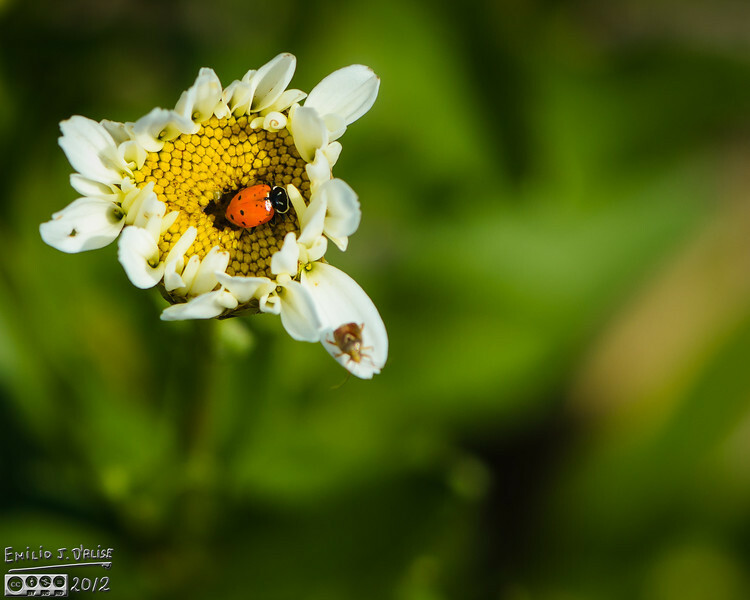 That probably meant my daisies were aphid-infested, and while that is not good news, it did mean I had the chance photograph them with good results. When I snapped this shot I had not seen the other bug, a Tarnished Plant Bug, adorning one of the petals.